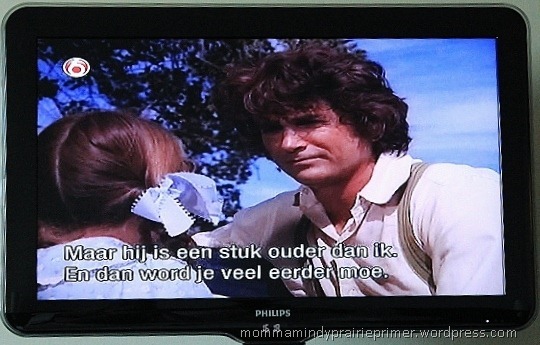 a few weeks ago was Little House on the Prairie reruns. 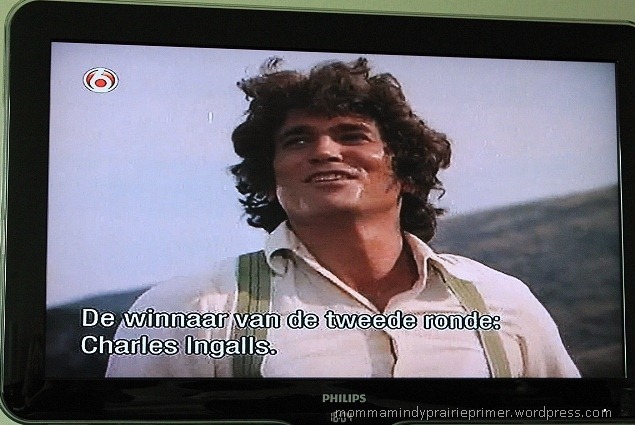 and another was in English with Dutch subtitles. They wanna’ make sure everyone can watch Laura and her Pa. I also think they had to have ONE channel that wasn’t inappropriate. we only use our TV for videos, but it was pretty …. Thanks to the BING translator, I was able to translate for you. When I translated tasty in English to Dutch, this word didn’t come up. or they wanted to learn to chop firewood. As usual, Pa is giving advice and Laura is listening. we can pretend that is really us and our children are hanging onto every word. on how great their upbringing was and how wise and beautiful their parents were. Hey, parents in many countries can dream!